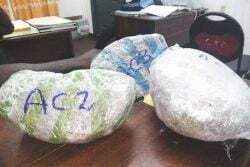 Imrain Khan who shipped the consignment of shrimp which was recently intercepted in New York with US$12M ($2.4B) worth of cocaine concealed inside has been released after being questioned by police and ranks of the Customs Anti-Narcotics Unit (CANU). 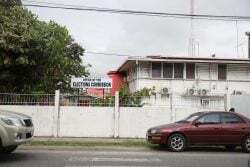 His lawyer Glen Hanoman told Stabroek News last evening that his client has to return to CANU headquarters tomorrow for further questioning. 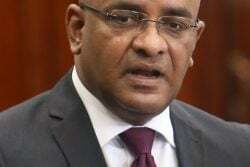 He explained that after he had taken Khan to the police narcotics division at Eve Leary last Friday, he was questioned by ranks before being handed over to CANU. He said that his client was questioned before being released and told to return the following day. He did so yesterday and after being grilled further he was sent away and told to return tomorrow. Hanoman said that when he took his client to the police, a written statement was handed over to the sleuths. The statement he said was later shared with CANU. 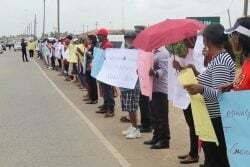 The attorney said that the handling of this case is an “encouraging sign” to persons who may be afraid to come forward in cases similar to the one in which his client has found himself. He had told his client to be prepared to spend 72 hours in custody as that is the usual practice. “It is refreshing that they did not keep him for 72 hours”, he said adding that the handling of this case sends the right message. Khan had gone to the police because he knew that he was the shipper and given the severity of the issue he knew that he would have been a person of interest. As such he decided to go in and clear his name. Neither the police nor CANU expressed an interest in questioning Khan. Lusignan businessman 59-year-old Heeralall Sukdeo who is the owner of Sukdeo Sons Fishing, a shipping company based in Queens, New York has been arrested and is being held without bail in a US jail. 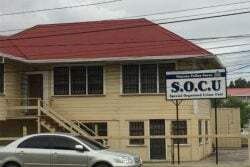 Sukdeo who also has a branch of his company at Lusignan and whose local address is Courbane Park, Annandale, East Coast Demerara has said he was innocent of any wrongdoing, according to the New York Daily News. 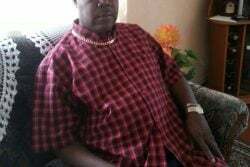 Sources told Stabroek, Sukdeo had travelled to Guyana and supervised the packing of his container. One source said that often persons would use their names to ship a container for a fee. This would have been the fourth time Khan had shipped a container for Sukdeo who spends most of his time outside Guyana Stabroek News was informed. This newspaper was told that this is the first time Sukdeo had returned home to “supervise” the shipment that Khan was going to make. Ordinarily the packing and inspection would take place in the presence of Customs officials, according to a source, but with this shipment Khan arrived when the shipment was almost complete. When he arrived, Sukdeo was already there. It is believed that it was prior to Khan’s arrival that the cocaine laden shrimps were packed into the container. The New York Daily News had reported that a drug-sniffing dog noticed something ‘fishy’ about a shipping container that arrived at the Red Hook Terminal from Guyana last week and hunted down 268 kilos of cocaine stuffed inside frozen shrimp. 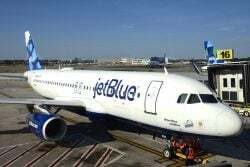 According to a complaint by US Homeland Security special agent Ryan Varrone unsealed on Wednesday in Brooklyn Federal Court, agents secretly removed the coke-filled crustaceans and tailed the container after it cleared customs on June 15. The container was delivered to an unidentified warehouse in Brooklyn on Monday where agents spotted Sukdeo “together with others … organizing and supervising the unloading” of the shipment, the complaint states. 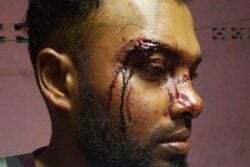 Varrone said too that “Sukdeo stated that he was present only in the vicinity of the truck containing the target shipment because he was curious about its contents”. 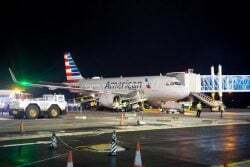 Sources say that apart from Sukdeo, about four other persons are also now in US custody after they had travelled to the US to find out about the businessman from whom they had not heard. 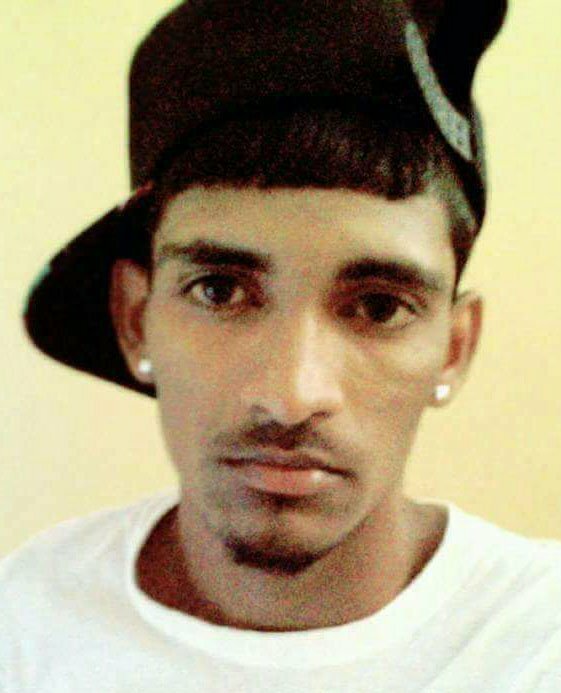 Relatives, employees and persons who know Sukdeo say that the incident has left them in shock as drug trafficking was not in his character.